The unsigned 16-bit CC values are stored as node_comp_caps in PTC CC register format. Depending on the device, the CC register format changes. Substitute the rough, coarse, fine, and accurate values from the table. 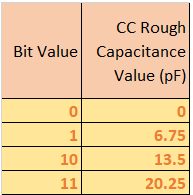 The maximum sensor capacitance, in the case of SAML10/SAML11 self-cap, is twice the maximum compensation capacitance value. The maximum sensor capacitance =64Pf (2* 32Pf). 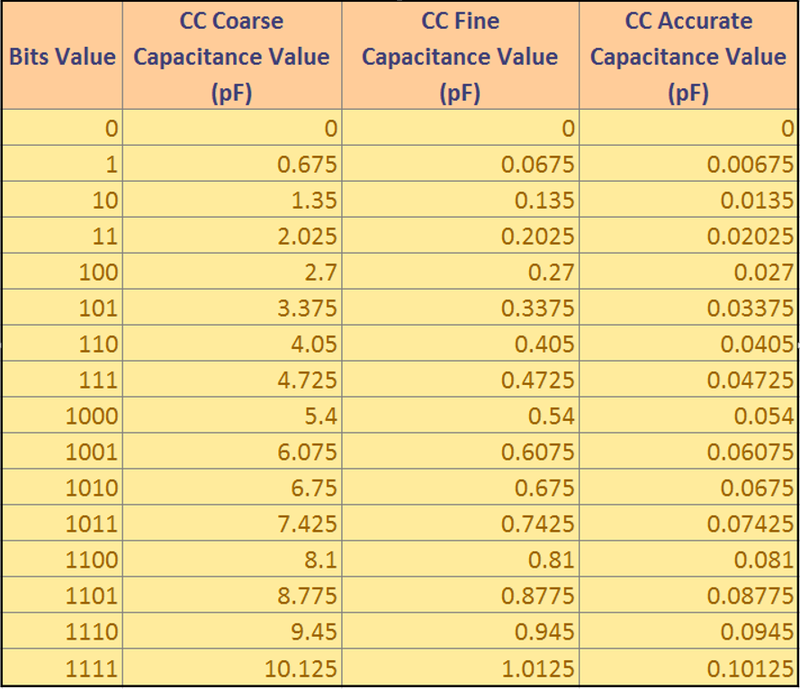 The maximum sensor capacitance, in the case of SAML10/SAML11 mutual-cap, is the same as the maximum compensation capacitance value, which is 32Pf.